Finding the right amount of money to start an Amazon business is on par with finding a unicorn in that it’s virtually impossible to determine with any certainty. 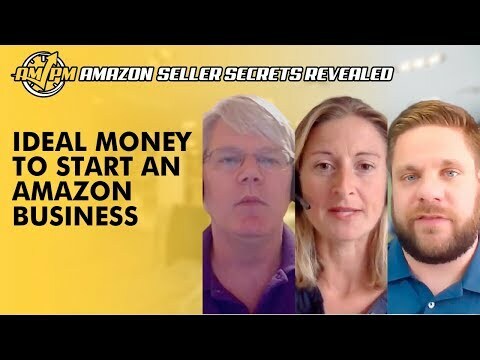 Despite how notoriously difficult it is to tell a new seller “You absolutely need THIS MUCH money to start an Amazon business,” our experienced sellers have their own opinions on the matter. 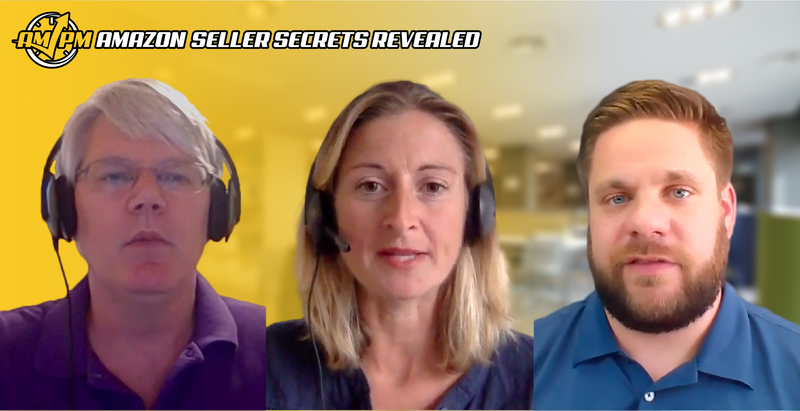 In this episode of Amazon Seller Secrets Revealed, our Amazon experts reveal their personal preferences of what the “right amount of money to start an Amazon business” is and why. “Most people think about the amount of capital that they need up front, and they might be thinking $5,000 or $10,000 — those types of numbers. But in my experience, you need to be thinking about what happens if you’re successful and you need to rebuy inventory. If every time you rebuy inventory, and your sales are doubling, it doesn’t matter how profitable you are, you’re going to need cash to grow. And if you’re growing rapidly, that number can grow very quickly to an excess of $100,000 if you’re trying to grow rapidly. If you don’t want to grow as rapidly, then you might not need that. But I think the key point is understanding that the faster you grow, the more cash you’re going to need. And then what you’re going to want to do is work with your suppliers because the cheapest way to get your business financed is to ask your supplier to extend something beyond the original payment terms. So 30% down or 70% before it ships is the most common, but as you grow, you want to be able to get better cash flow terms from your supplier and recognize that the faster you grow, the more cash you’re going to need. “So, starting out on Amazon — it’s a fraction of the startup capital to most businesses that most people start. So even if you spend a couple thousand dollars on launching a new product, and that’s pretty reasonable. My first product — I did for $300, and I really like cheap launches. So even if you have deep pockets and can afford to do a big launch with a big minimum first order, I still think you’re going to have to build portfolios of products to win on Amazon now. “I think to start an Amazon business, you need about $10,000 to do it right. I know there are stories out there of people starting out with $200, and I understand that it works, but it’s going to take a long time to build up. Here’s how I tell people to break their budget [down]: $10,000 to start out well as an actual business. You need $2,000 in education; I’m not saying you have to go out and buy a $2,000 course, but I’m saying that if you’re starting out, spend $1,000 and go to a 3-day Amazon Sellers conference. Go meet as many people as you can. You can go to a 3-day conference, spend $1,000, and meet 50 people and gain more experience than other people might watching YouTube videos and stuff for six months. I think you need to have $6,000 for inventory. With $6,000 for inventory, I think that you can realistically purchase test samples of maybe five or six items depending on what you are looking at. They may not be the product that’s super-customized or high in the cue, but it’ll get your foot in the door. That leaves you around $2,000 in the backend for your pay per click costs, and also a buffer to hire a professional. Now I know that we all like to think that we can do it all, but I see it all the time with customers that think they have a really good grip on something, and at the end of the day, they really don’t. So use that as an emergency fund. Have more questions or suggestions about the best amount of money to start an Amazon business? Let us know in the comments!